Alexandrova, A. Mangeney M. Maksimovic, C. Lacombe, N. Cornilleau-Wehrlin, E.A. Lucek, P.M.E. Décréau, J.-M. Bosqued, P. Travnicek, and A.N. Fazakerley, Cluster observations of finite amplitude Alvén waves and small scale magnetic filaments downstream of a quasi-perpendicular shock, Journal of Geophysical Research Vol. 109, No. A5, A05207, 10.1029/2003JA010056, 2004. M. Dubinin, M. Maksimovic, N. Cornilleau-Werhlin, D. Fontaine, P. Travnicek, A. Mangeney, O. Alexandrova, K. Sauer, M. Fraenz, I. Dandouras, E. Lucek, A. Fazakerley, A. Balogh, and M. Andre, Coherent Whistler Emissions in the Magnetosheath and Magnetosphere. Cluster Observations, Annales Geophysicae, 25, 303, 2007. Alexandrova, C. Lacombe, A. Mangeney, Spectra and anisotropy of magnetic fluctuations in the Earth’s magnetosheath: Cluster observations, Ann. Geophys., Vol.26, pp. 3585-3596, 2008a. Alexandrova, V. Carbone, L. Sorriso-Valvo, P. Veltri, Small Scale Energy Cascade of the Solar Wind Turbulence, The Astrophysical Journal, Volume 674, Issue 2, pp. 1153-1157, 2008b. Alexandrova and J. Saur, Alfvén vortices in Saturn’s magnetosheath: Cassini observations, Geophysical Research Letters, Volume 35, Issue 15, CiteID L15102, 2008. Alexandrova, Solar wind versus magnetosheath turbulence and Alfvén vortices, Nonlinear Processes in Geophysics, Volume 15, Issue 1, pp.95-108, 2008. Alexandrova, J. Saur, C. Lacombe, A. Mangeney, J. Mitchell, S. J. Schwartz, P. Robert, Universality of Solar-Wind Turbulent Spectrum from MHD to Electron Scales, Physical Review Letters, vol. 103, Issue 16, id. 165003, 2009. H. K. Chen, T. S. Horbury, A. A. Schekochihin, R. T. Wicks, O. Alexandrova, J. Mitchell, Anisotropy of Solar Wind Turbulence between Ion and Electron Scales, Physical Review Letters, vol. 104, Issue 25, id. 255002, 2010. Zimbardo, A. Greco, L. Sorriso-Valvo, S. Perri, Z. Vörös, G. Aburjania, Kh. Chargazia, O. Alexandrova, Magnetic turbulence in the geospace environment, Space Science Reviews, Volume 156, Issue 1-4, pp. 89-134, 2010. Bourouaine, O. Alexandrova, E. Marsch and M. Maksimovic, On spectral breaks in the power spectra of magnetic fluctuations in fast solar wind between 0.3 and 0.9 AU, The Astrophysical Journal, Volume 749, Issue 2, article id. 102, 2012. Perrone D., Alexandrova O., Mangeney A., Maksimovic M, Lacombe C, Rokoto V, Kasper J C, Jovanovic D (2016), Compressive coherent structures at ion scales in the slow solar wind. The Astrophysical Journal Volume 826, Issue 2, article id. 196, 19 pp. (08/2016), arXiv:1604.07577. 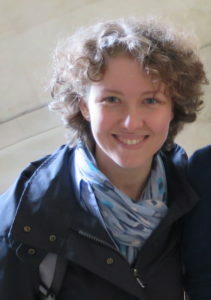 Breuillard, E. Yordanova, A. Vaivads and O. Alexandrova, The effets of kinetic instabilities on small-scale turbulence in Earth’s magnetosheath, The Astrophysical Journal, Volume 829, Issue 1, article id. 54, 7 pp. (09/2016). Kajdic, O. Alexandrova, M. Maksimovic, C. Lacombe and A. N. Fazakerley, Suprathermal electron strahl widths in the presence of narrow-band whistler waves in the solar wind, The Astrophysical Journal, Volume 833, Issue 2, article id. 172, 11 pp. (2016). Alexandrova, J. Saur, C. Lacombe, A. Mangeney, S.J. Schwartz, J. Mitchell, R. Grappin, and P. Robert, Solar wind turbulent spectrum from MHD to electron scales, TWELFTH INTERNATIONAL SOLAR WIND CONFERENCE. AIP Conf. Proc., 1216, 144, 2010. Issautier, A. Mangeney, O. Alexandrova, Spectrum of the electron density fluctuations: preliminary results from Ulysses observations, TWELFTH INTERNATIONAL SOLAR WIND CONFERENCE. AIP Conference Proceedings, Volume 1216, pp. 148-151, 2010.